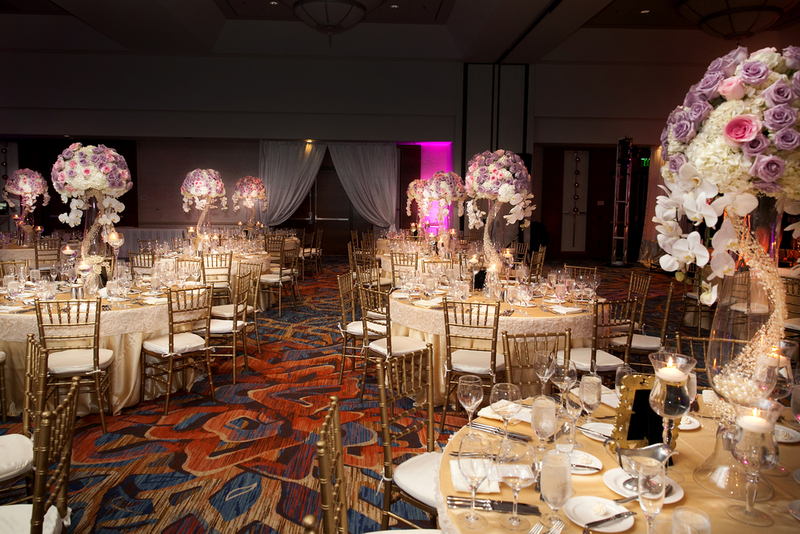 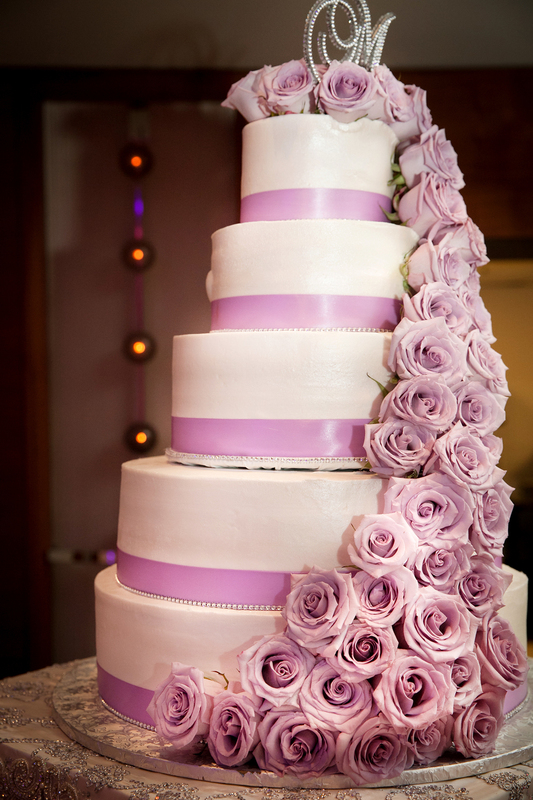 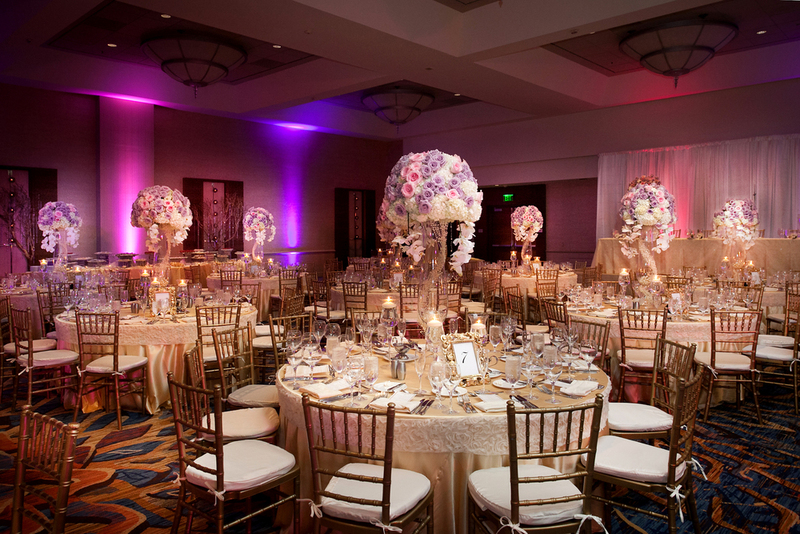 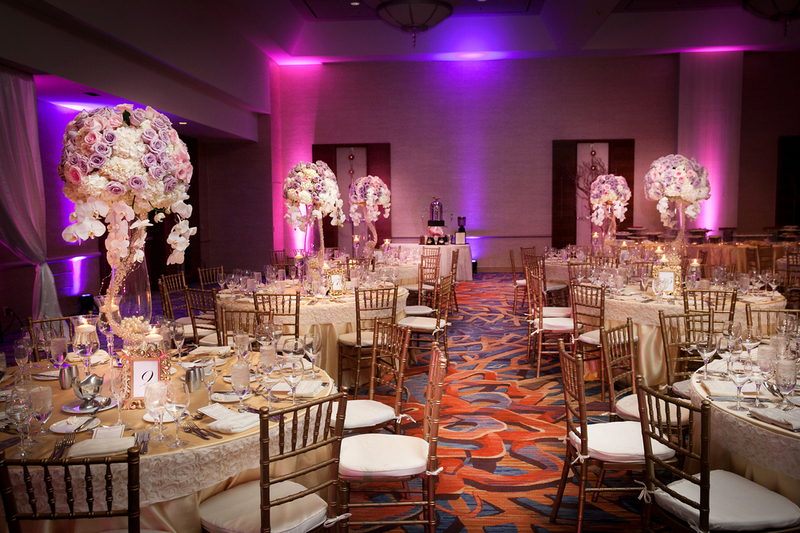 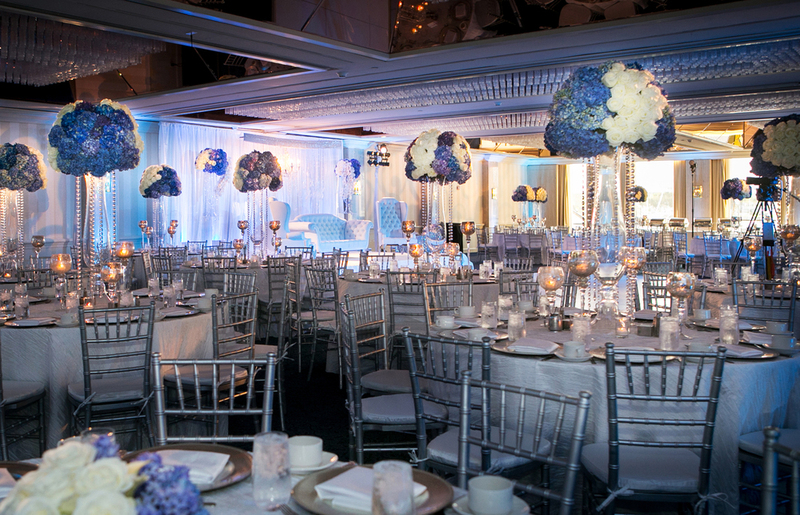 This was another extravagant wedding at Grand Manchester Hyatt. 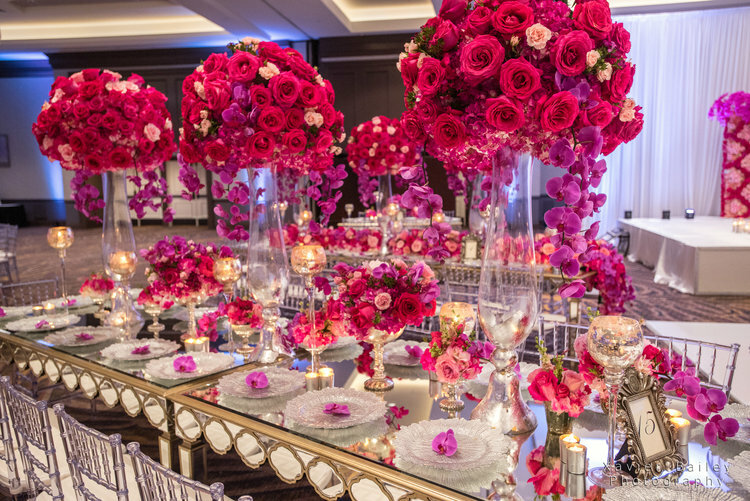 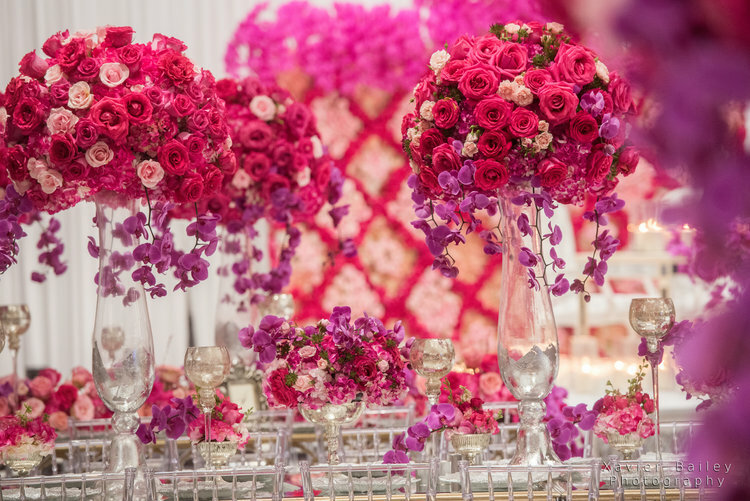 The floral arrangements and floral decor were captivating with the jaw dropping center pieces, Glass Mirror tables, floral backdrop with hot pink roses, hydrangeas, beautiful orchids and a number of candles. 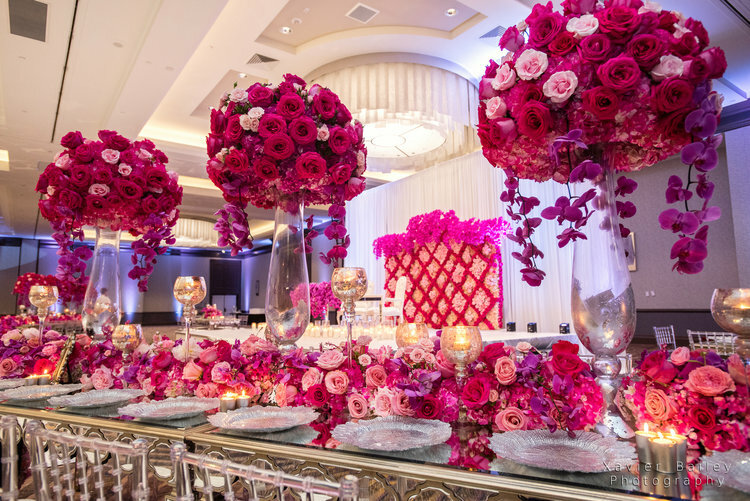 A beautiful lush hot pink floral wall with roses and orchids to frame the Bride and Groom on stage. 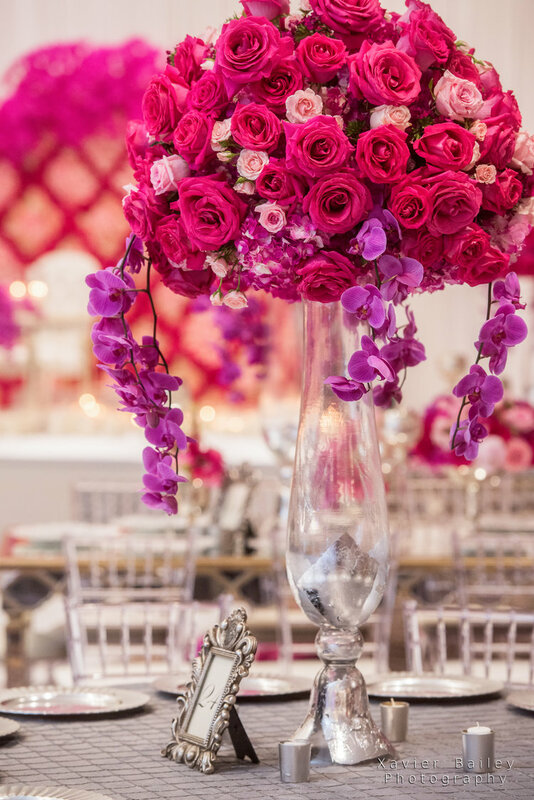 The elegant crystal candle holders floating across our floral pieces with shades of pink, fuchsia, blush and purple gives you the perfect definition of vibrancy with grace. 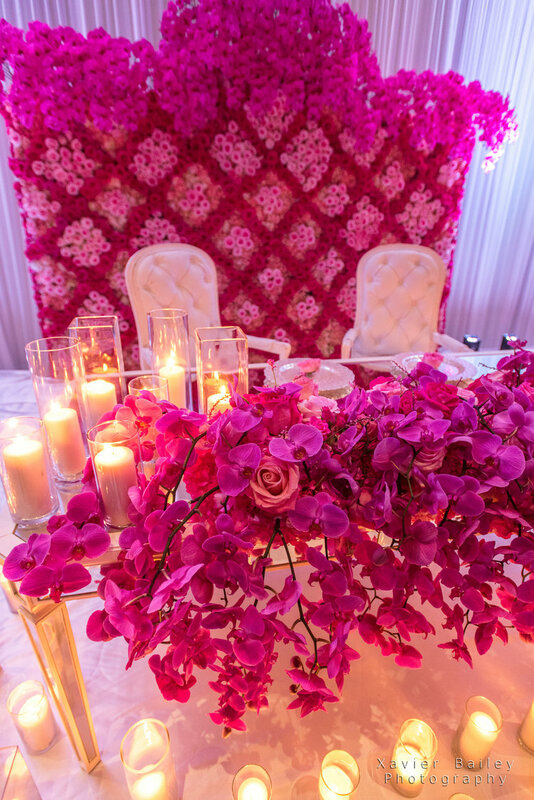 The breathtaking Hot Pink backdrop floral wall was a sure hit! 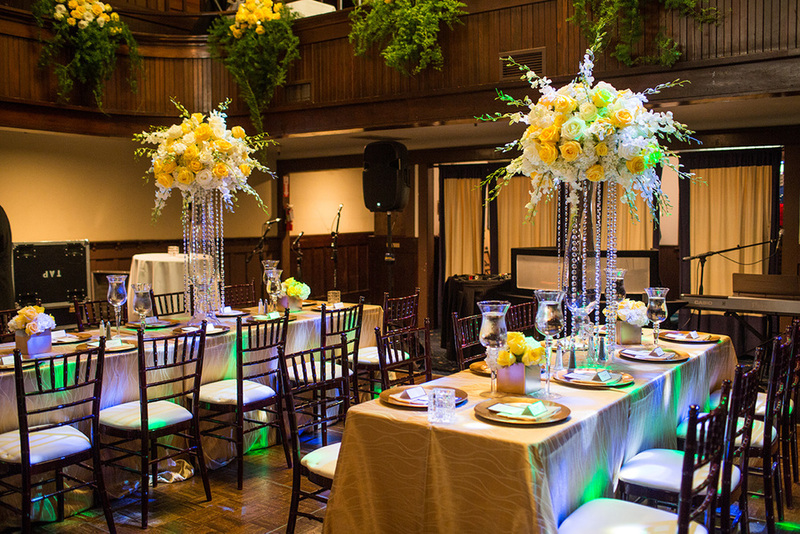 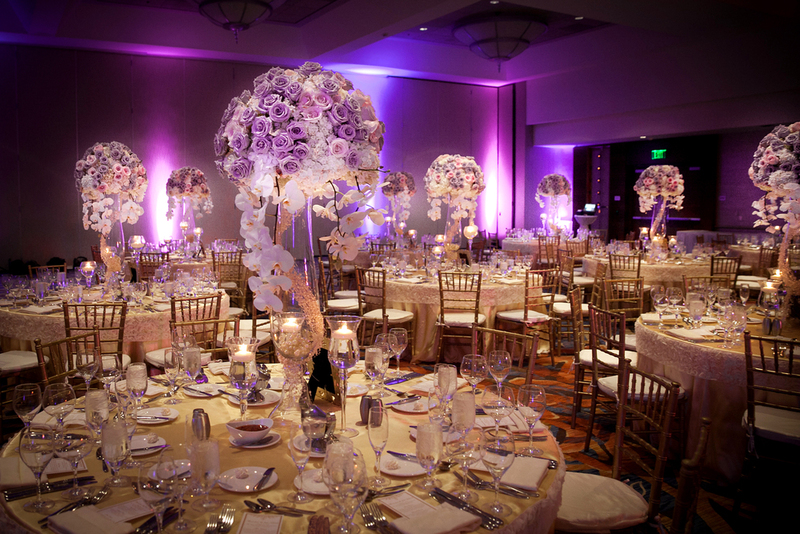 The large enormous floral centerpieces sweeps you to whole different realm. 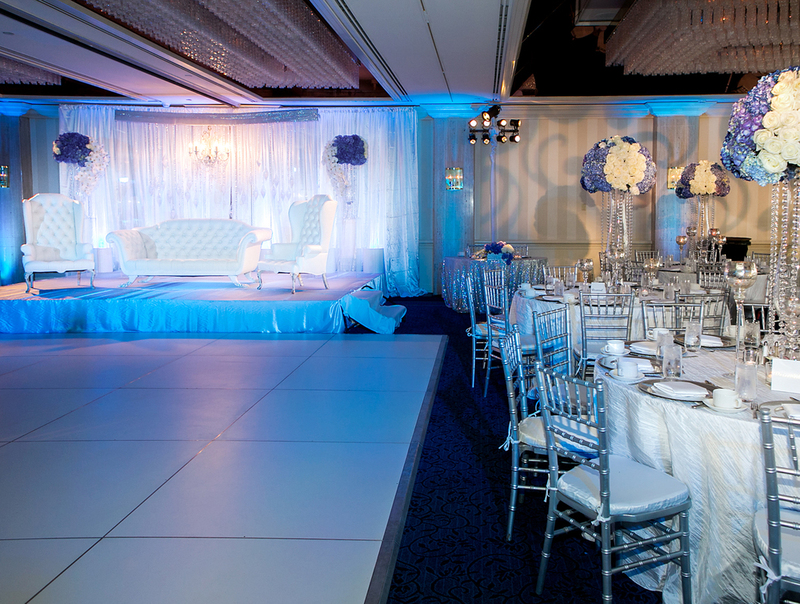 It definitely impressed the guests who were quite surprised and captivated with our whole design. 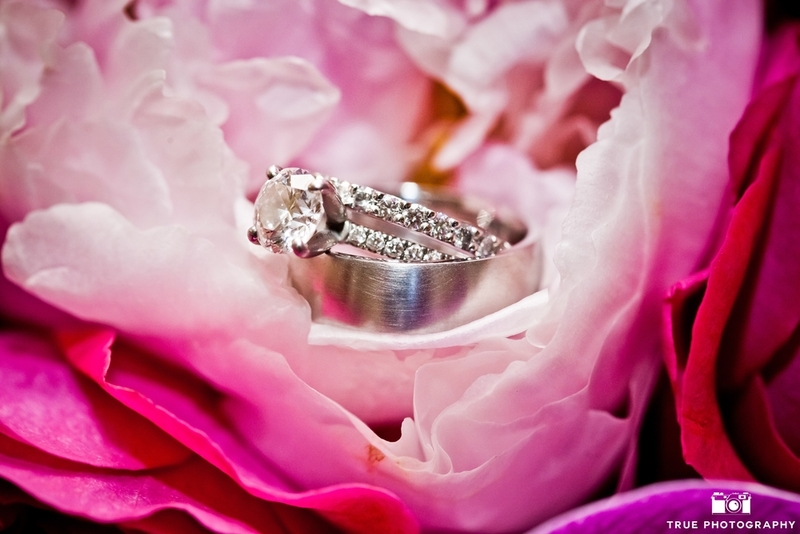 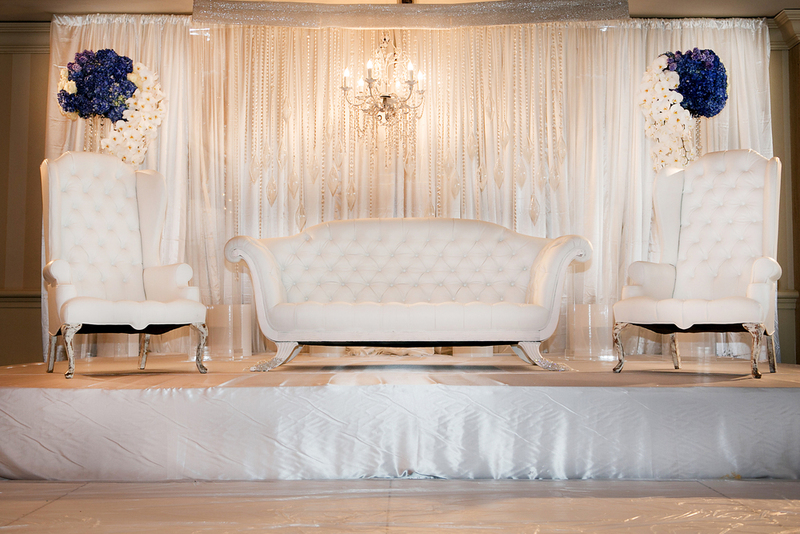 A huge thanks to our photographer 'Xavier Bailey' for capturing this wedding for us!. 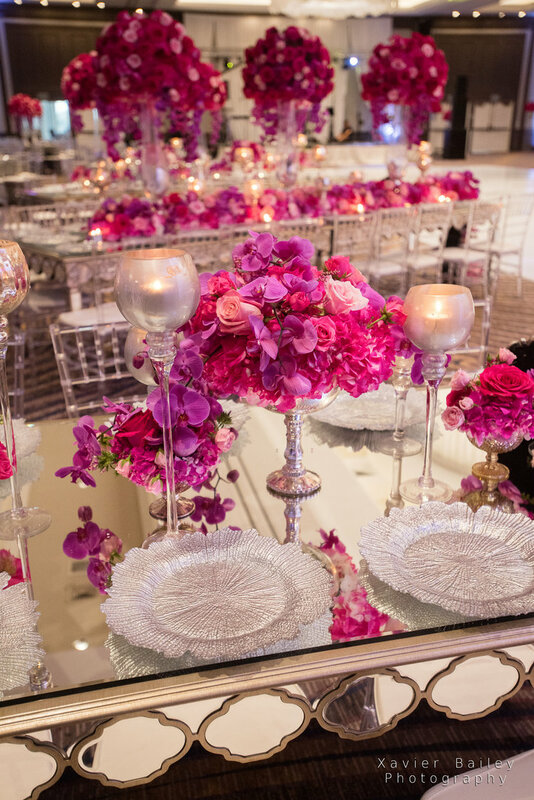 Our mirrored dining table is elegant, sophisticated and glamorous. 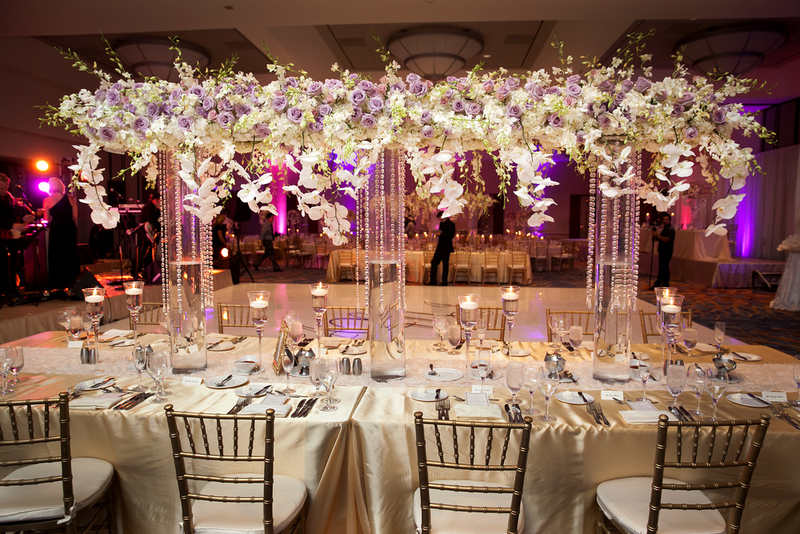 A perfect fit for the most glamours weddings and events. 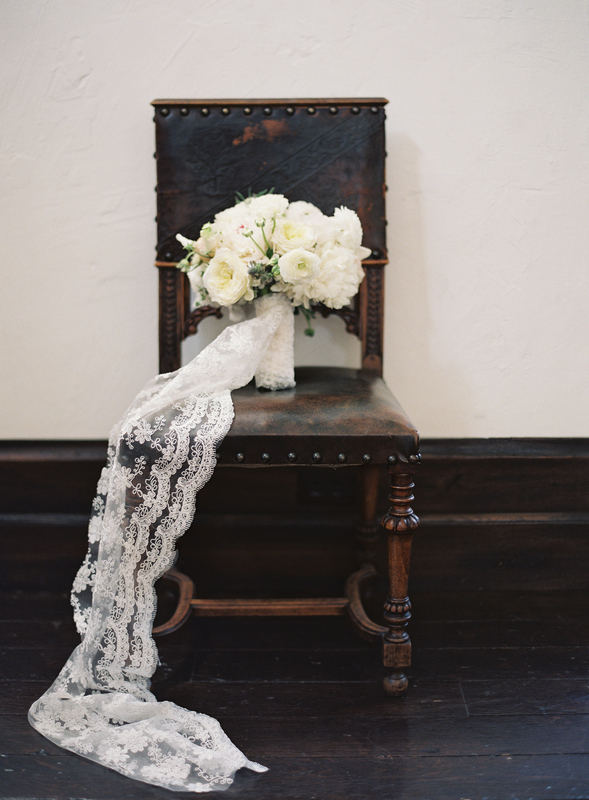 A beautiful frame with an antique finish. 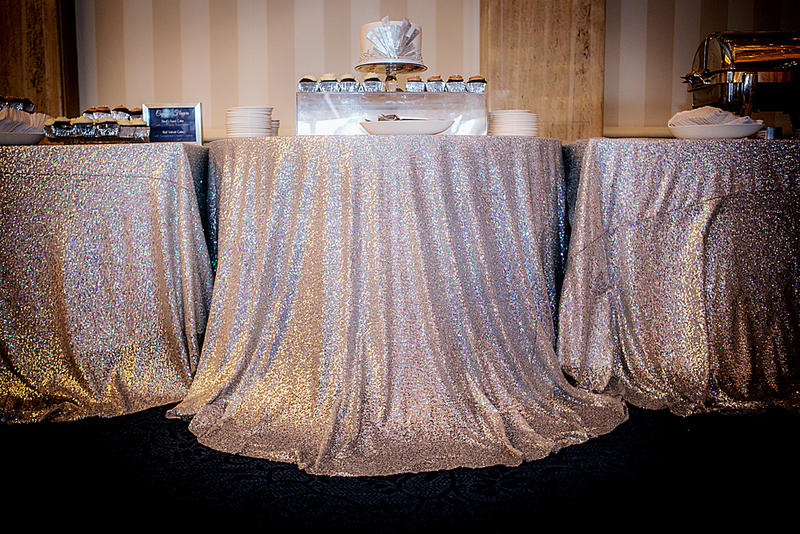 Mirrored panels cover every detail of this table. 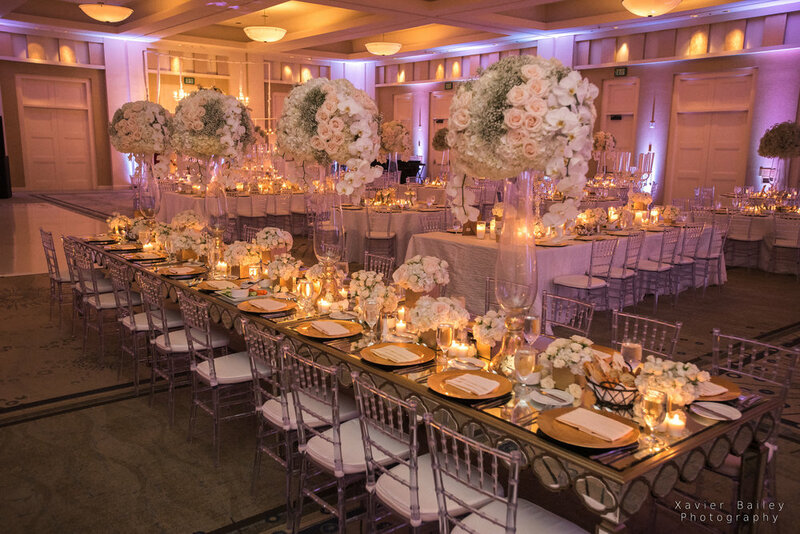 Crystal clear mirror top table that is exquisite paired with lush tall centerpieces and candles seats up to 10 guest per mirror table. 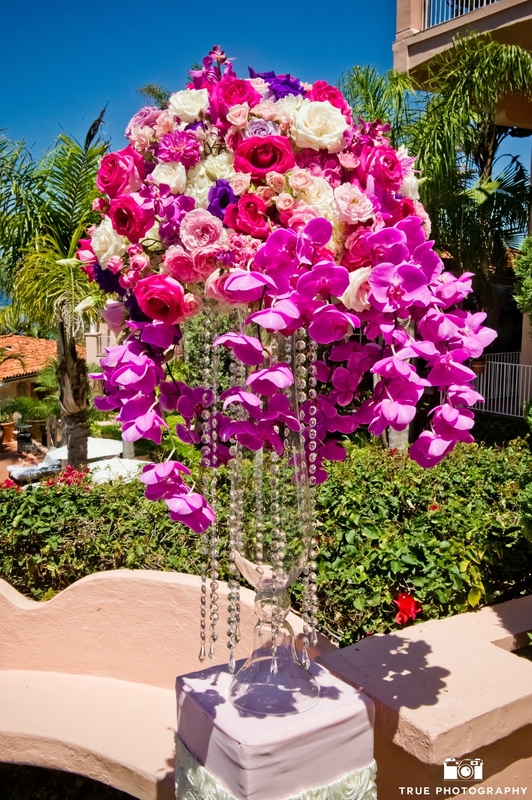 And finally... these lovely beauties have arrived are part of ArtQuest Flowers personal collection. 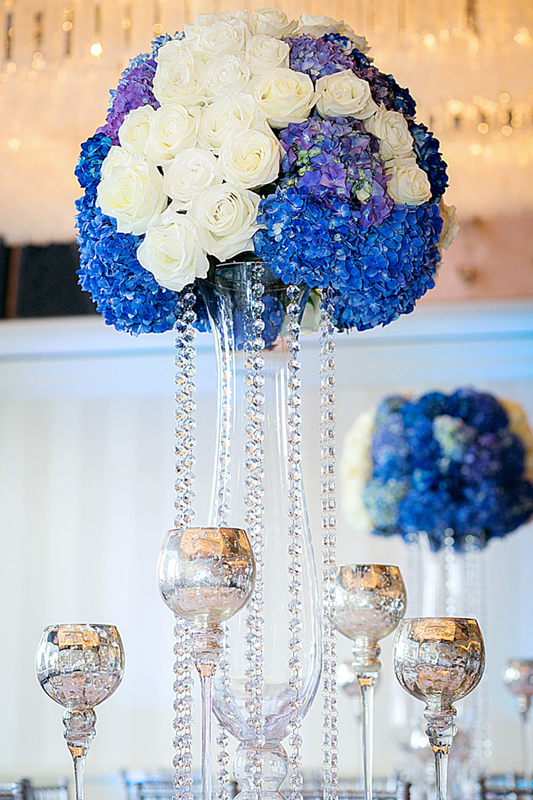 I have always wanted glass mirror top tables to be incorporated in my design. 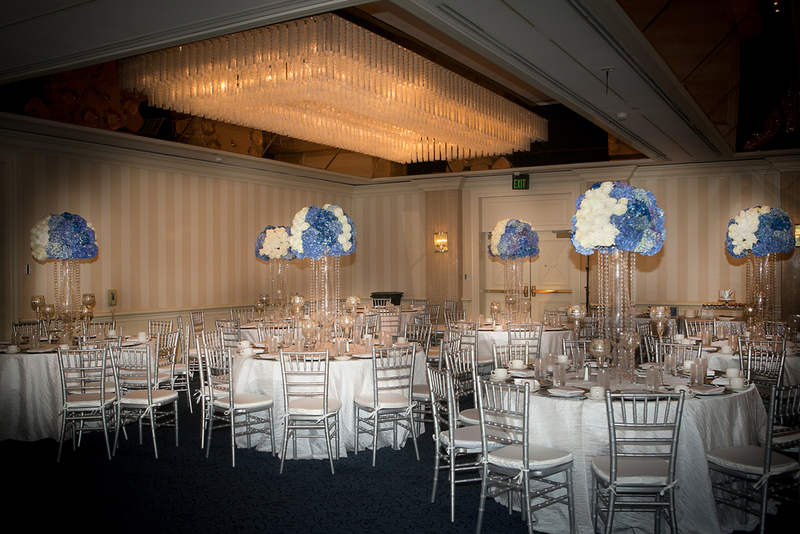 These glass mirror tables are very elegant and beautiful. 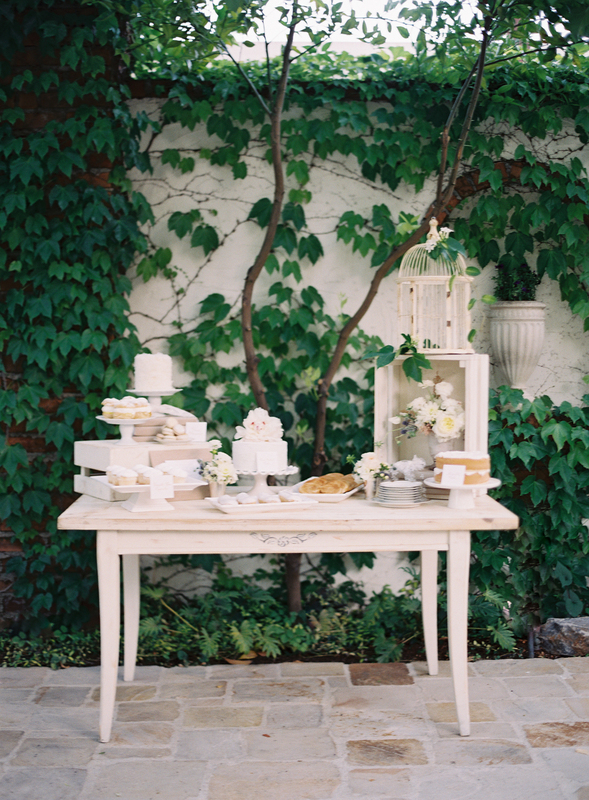 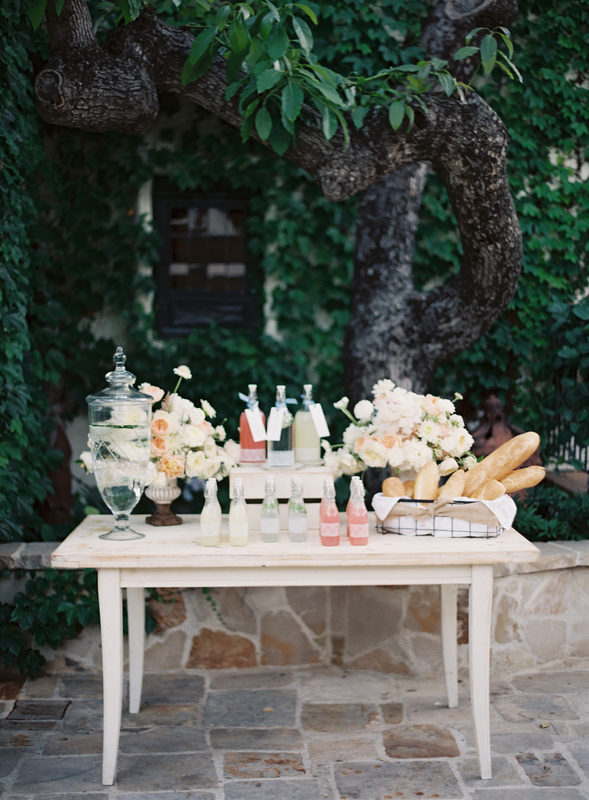 Perfect for family tables, head tables, bridal party tables or even a sweet heart table. 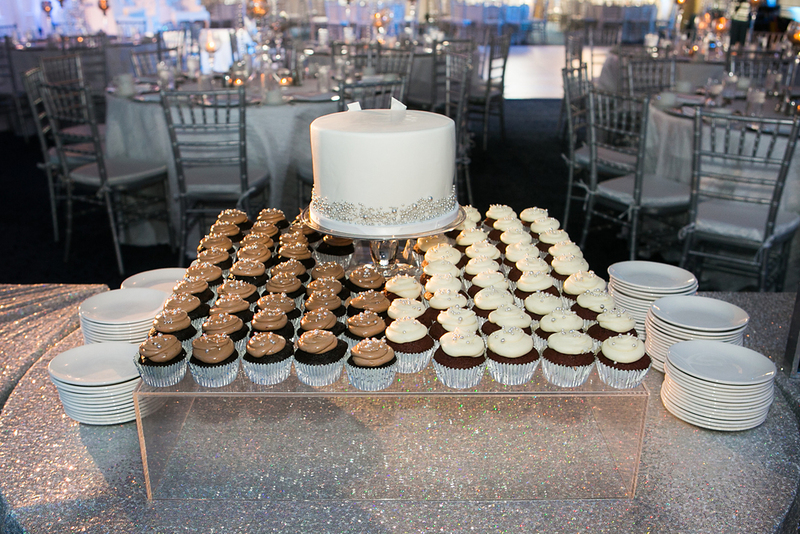 Check out this wedding HERE where we incorporated these beautiful mirror tables for a head table. 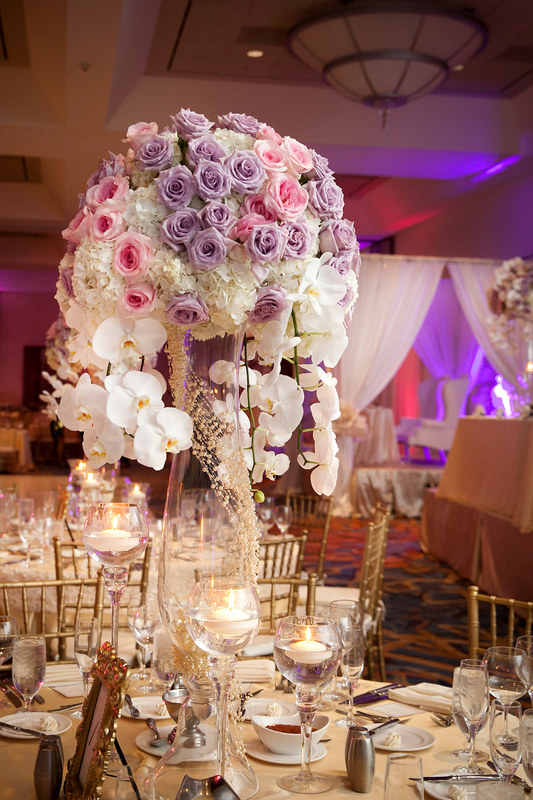 A lovely short centerpiece with beautiful blush pink roses and lavender roses sits perfectly on a gold urn. 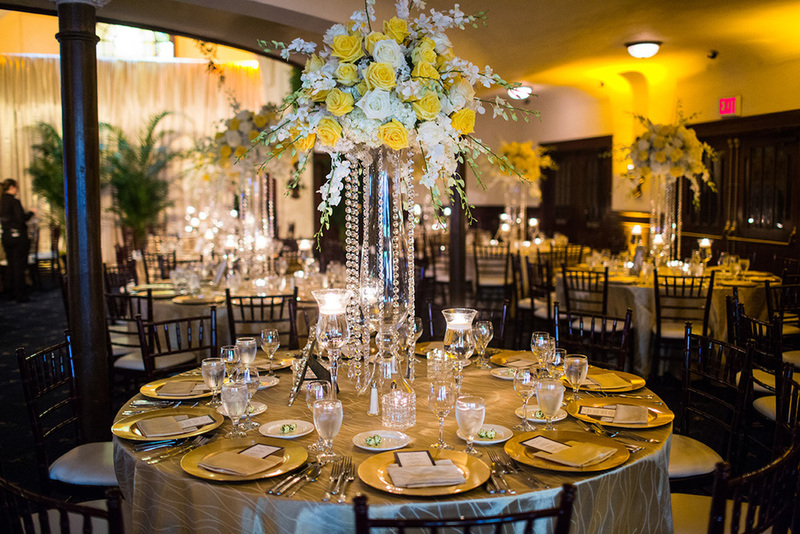 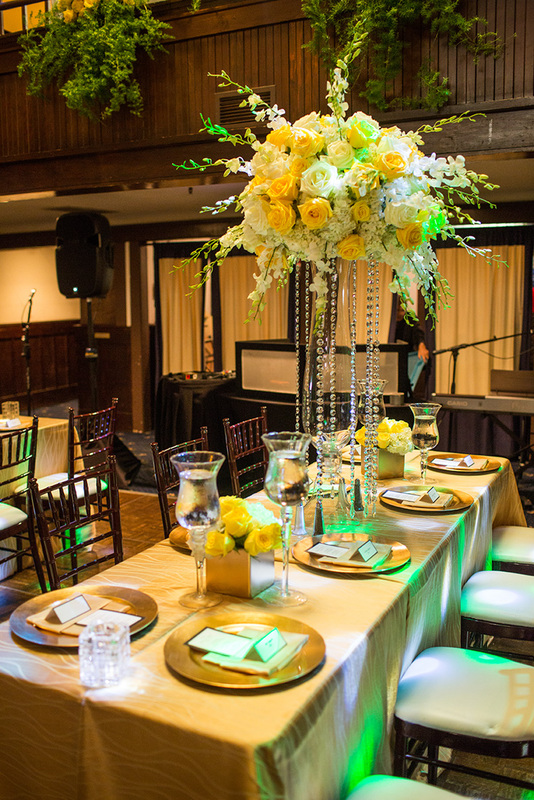 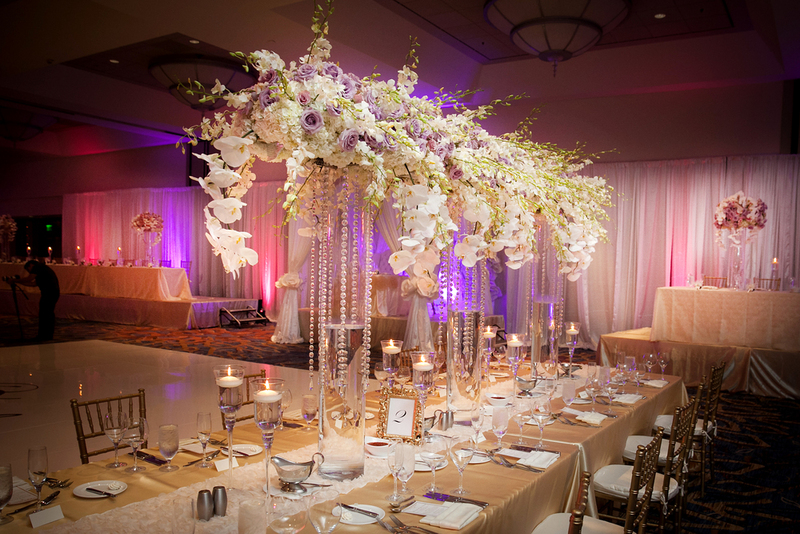 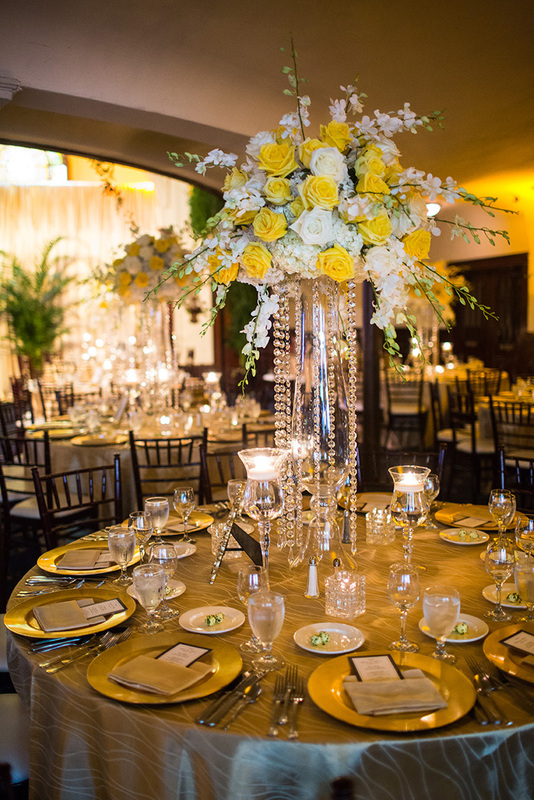 I absolutely love an opulent tall centerpiece, it creates a spectacular view when your guest enter the room. 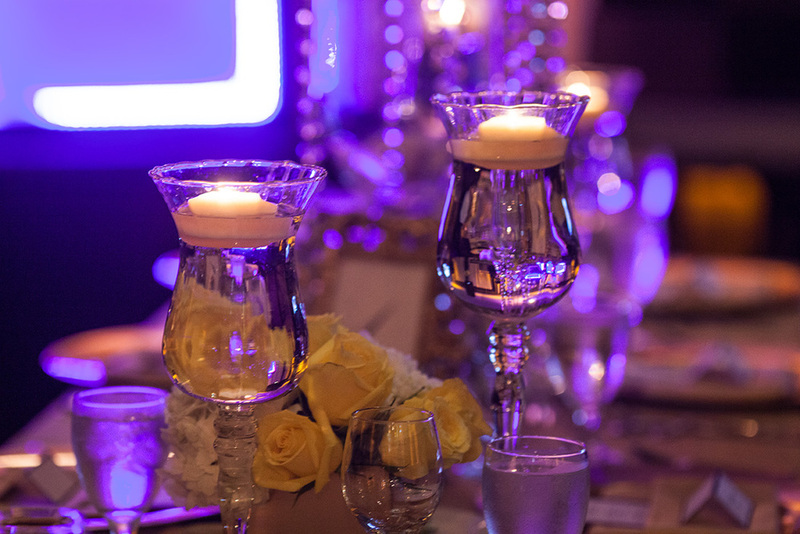 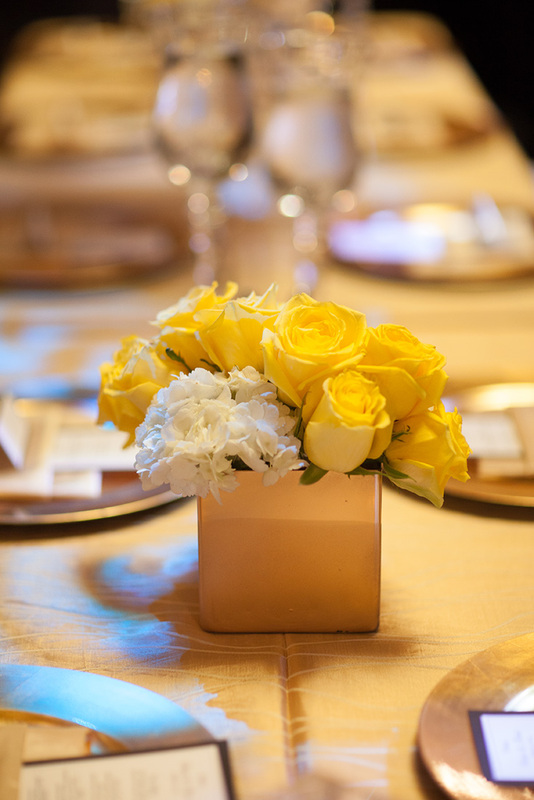 With that being said, a table setting with a short centerpiece can be equally opulent. 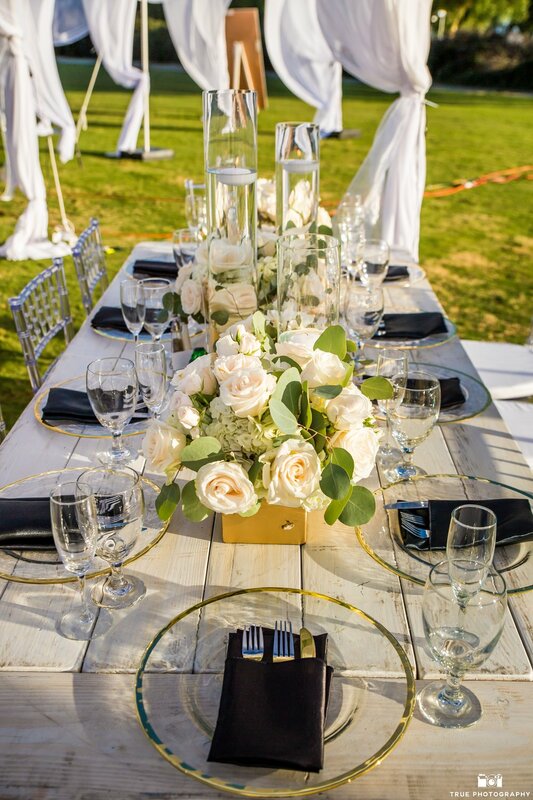 This table setting we design captures that opulence with a lush short centerpiece paired with an exquisite ivory lace from our personal collection. 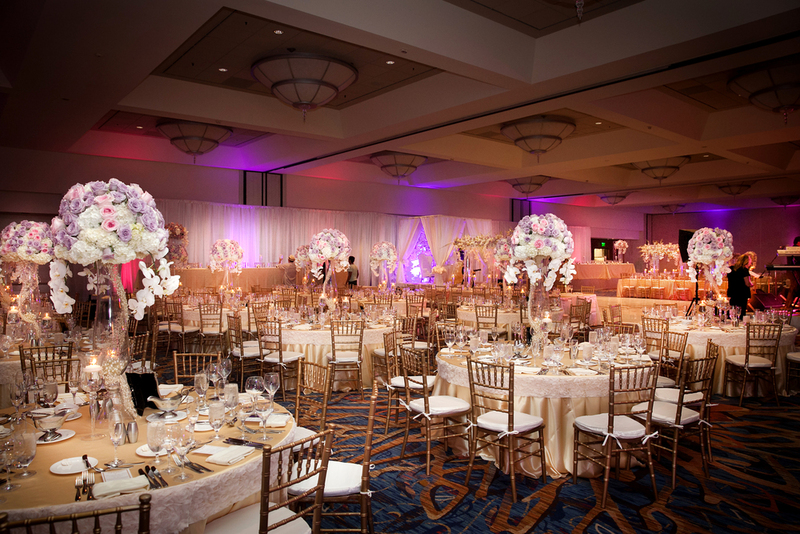 White Wedding at Hyatt Regency La Jolla. 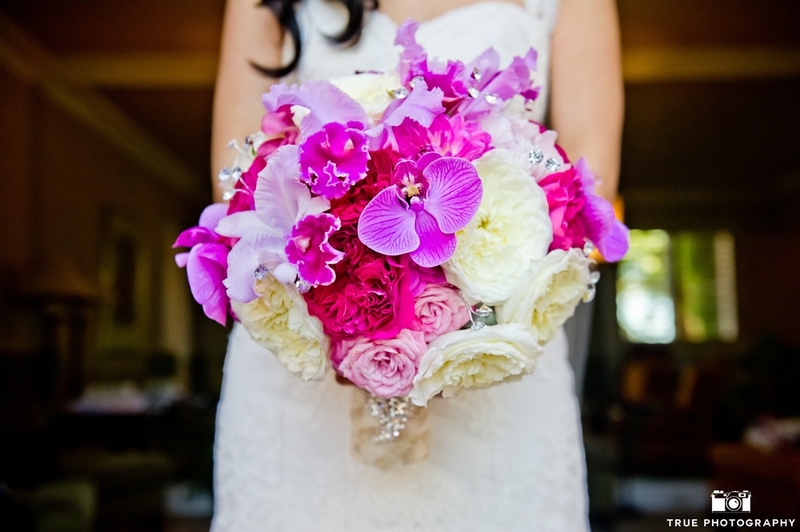 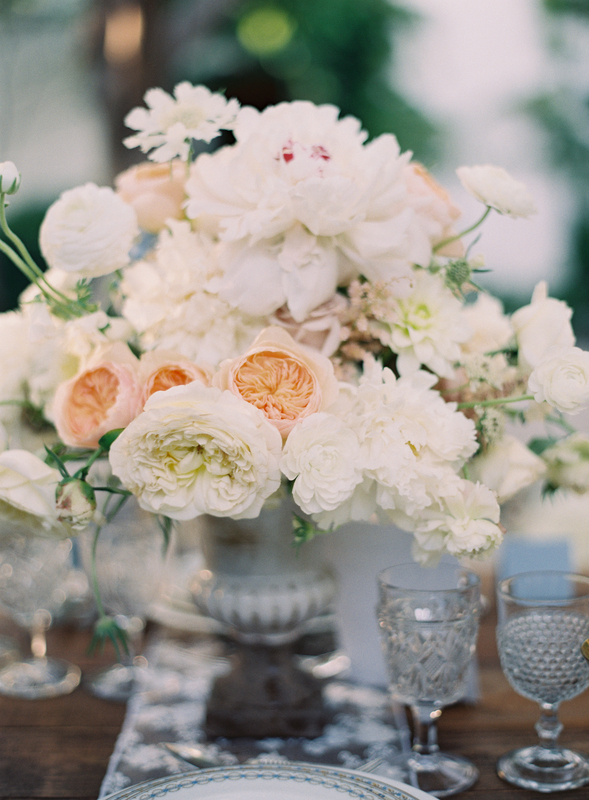 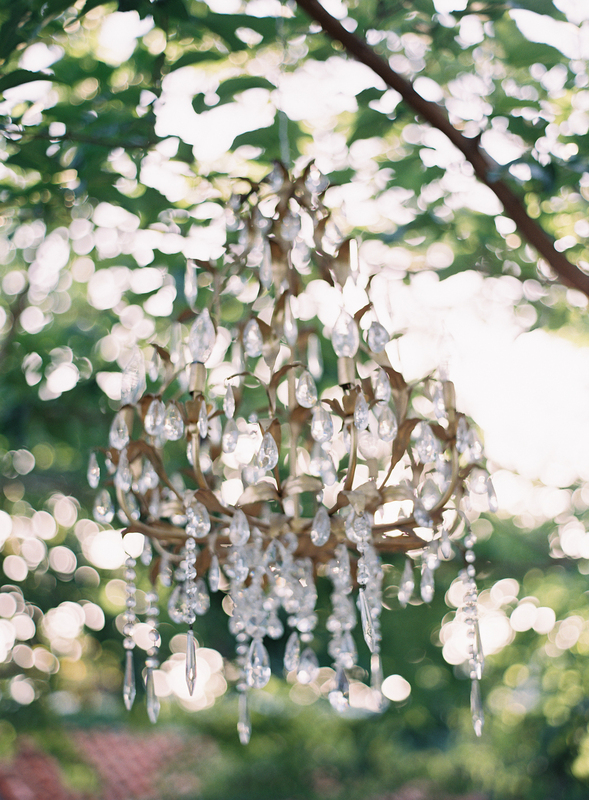 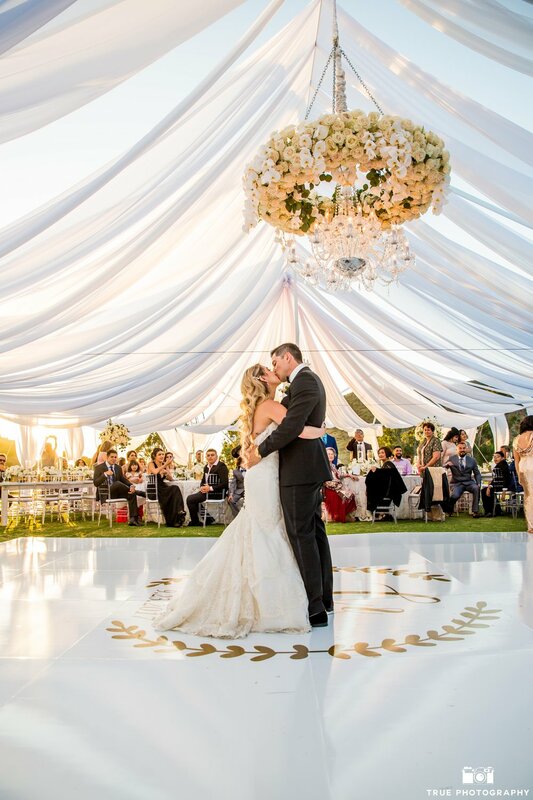 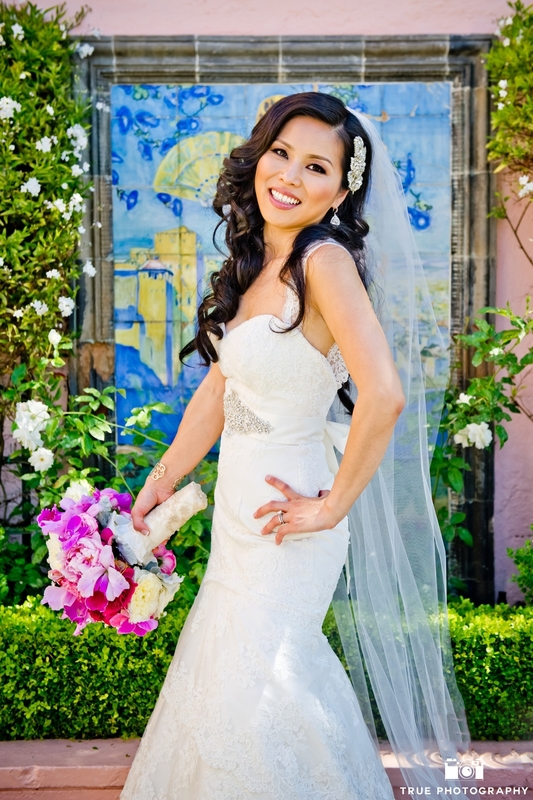 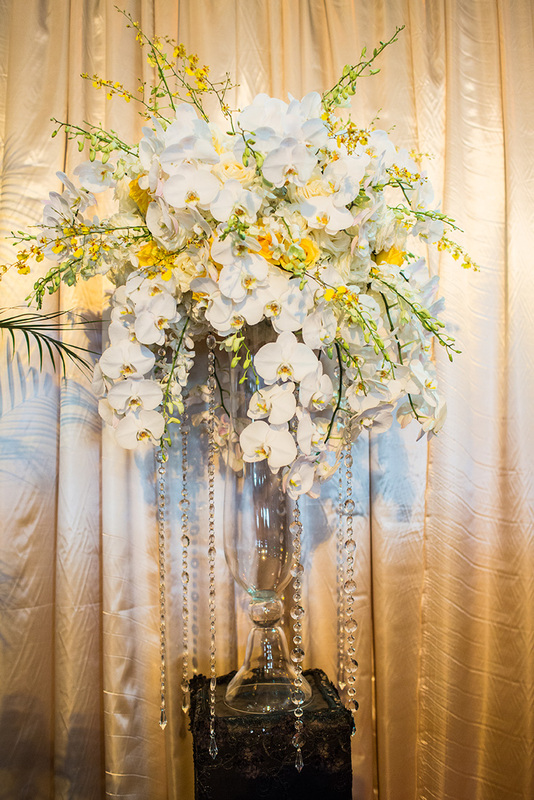 We love a wedding with white orchids, ostrich plumes and crystals. 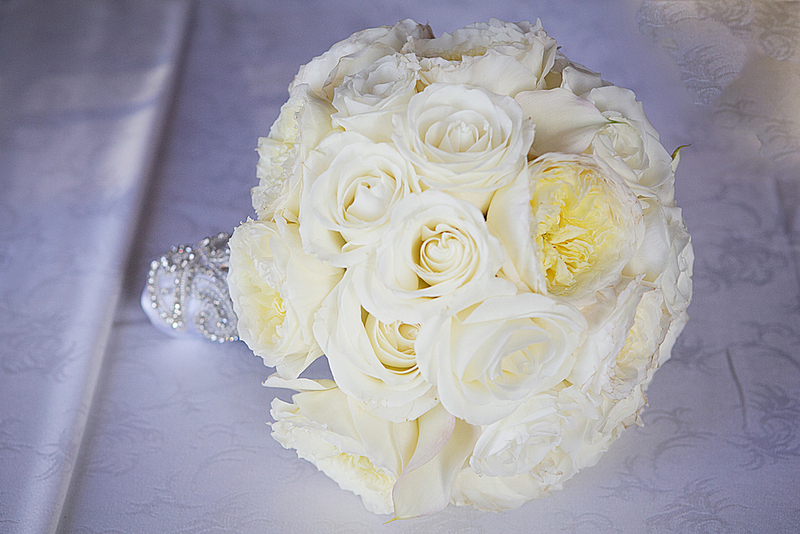 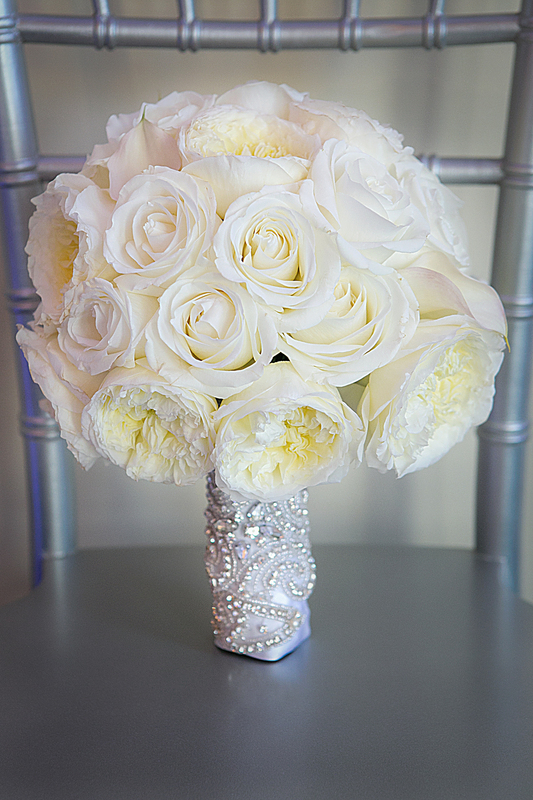 A timeless classic, white is so perfect for any time of the year! 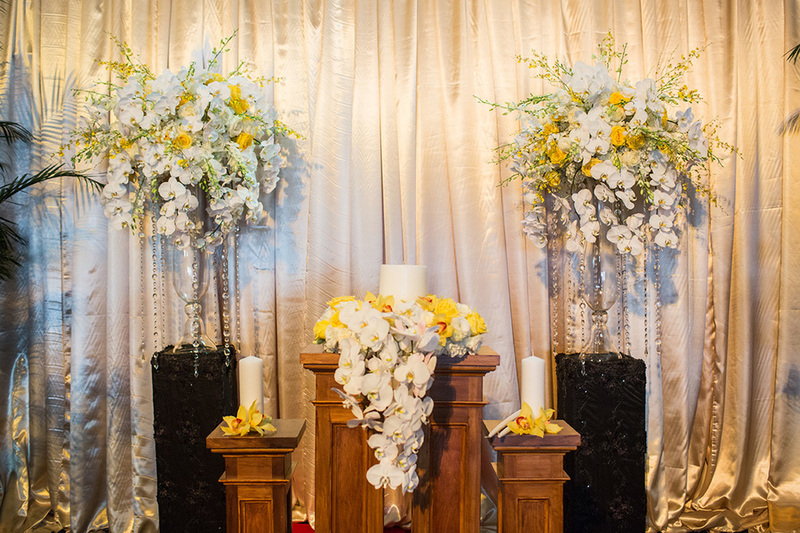 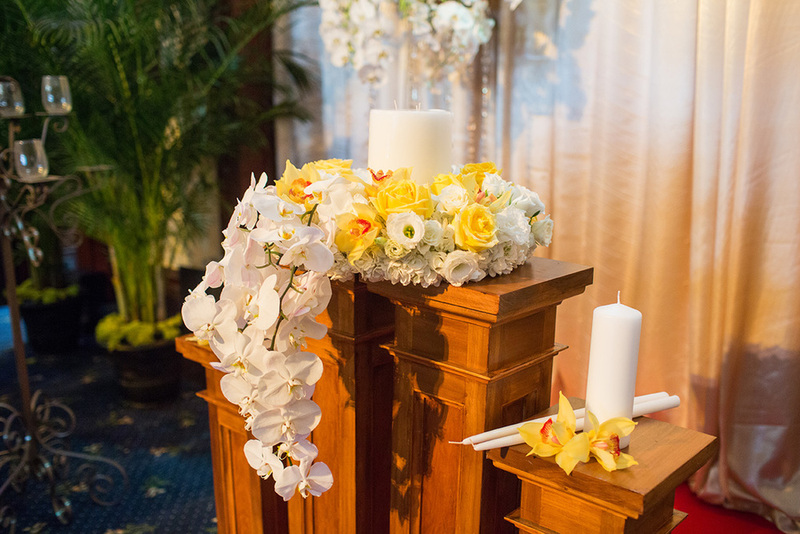 We adorned the church with tall centerpieces full with white roses and white phaleonopsis orchids that stood tall on clear acrylic pedestals. 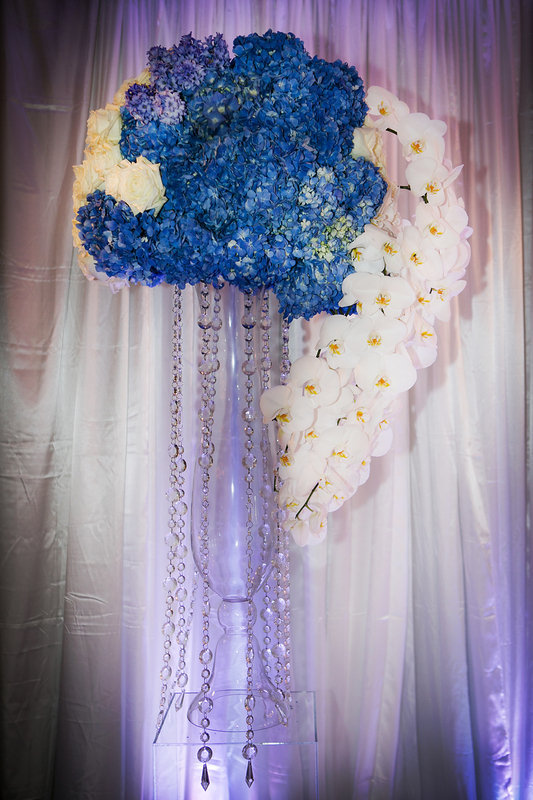 The reception had tall centerpieces with white orchids and ostrich plumes. 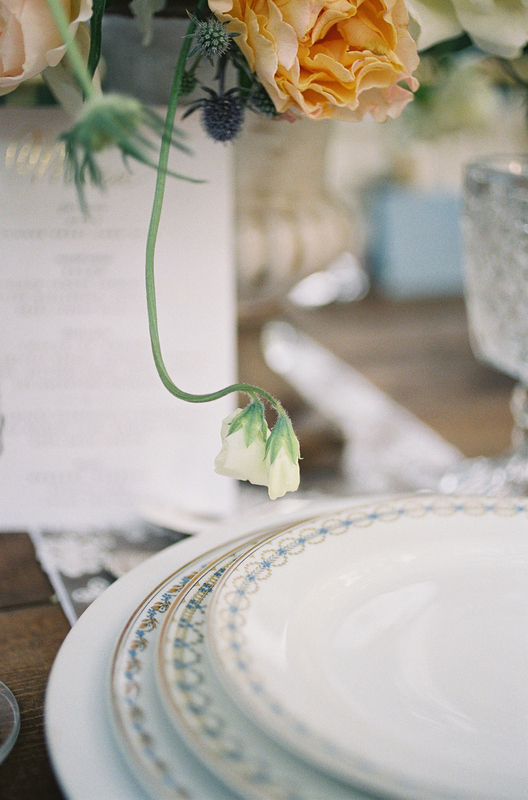 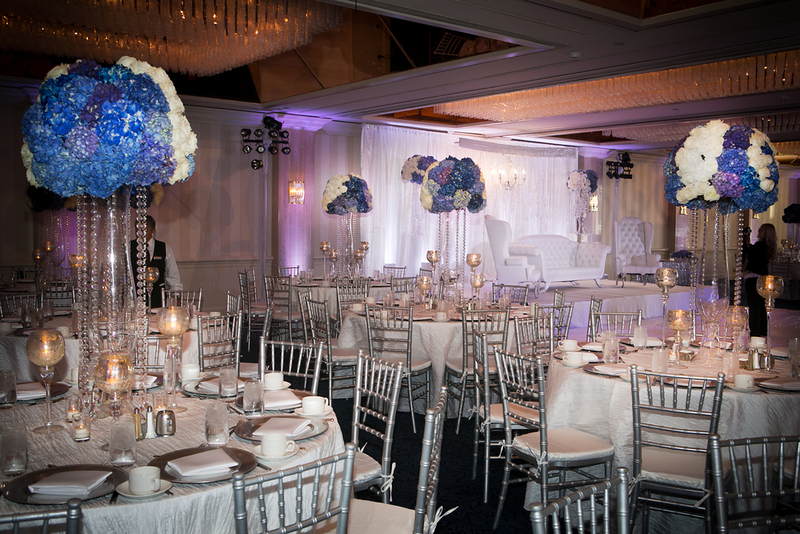 We added white petal linen from our personal collection to go with the whole theme of the wedding! 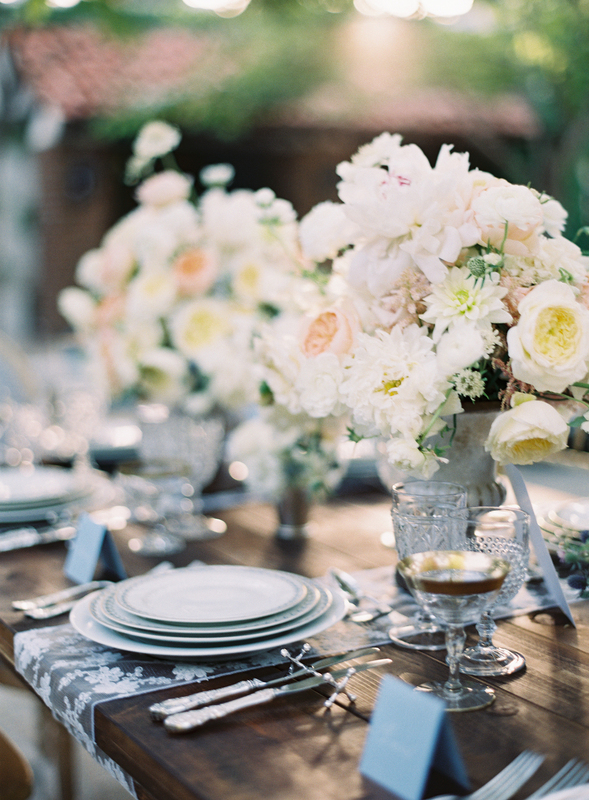 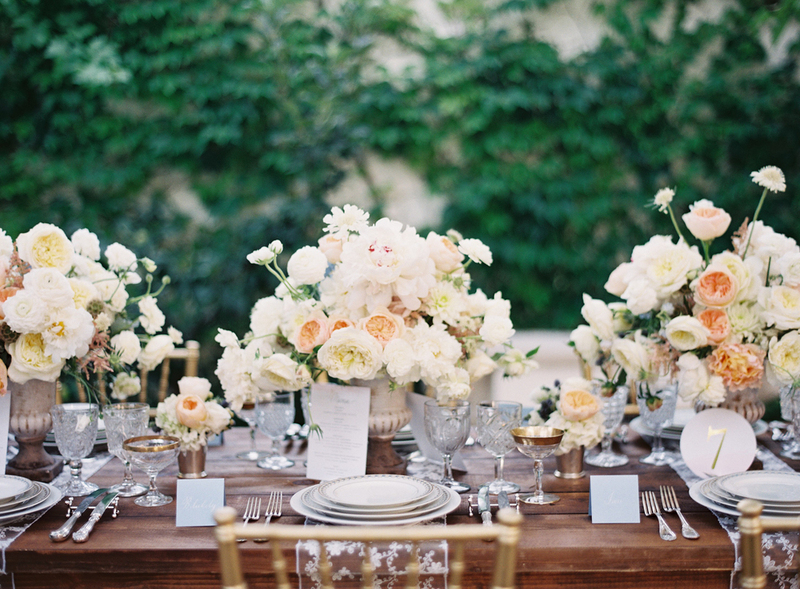 The family tables were designed with lush florals runner of hydrangeas and roses and mercury vases. 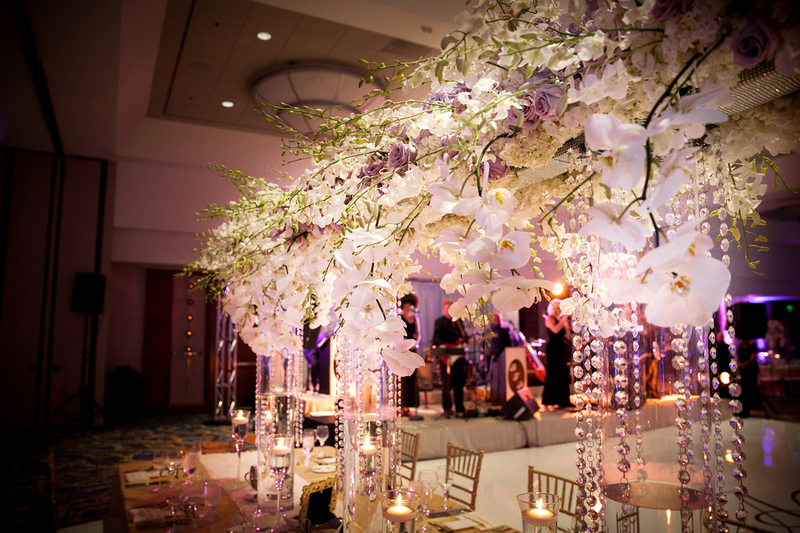 Oh and my favorite, a fabulous back drop of white orchids and hanging crystals for sweet heart table. 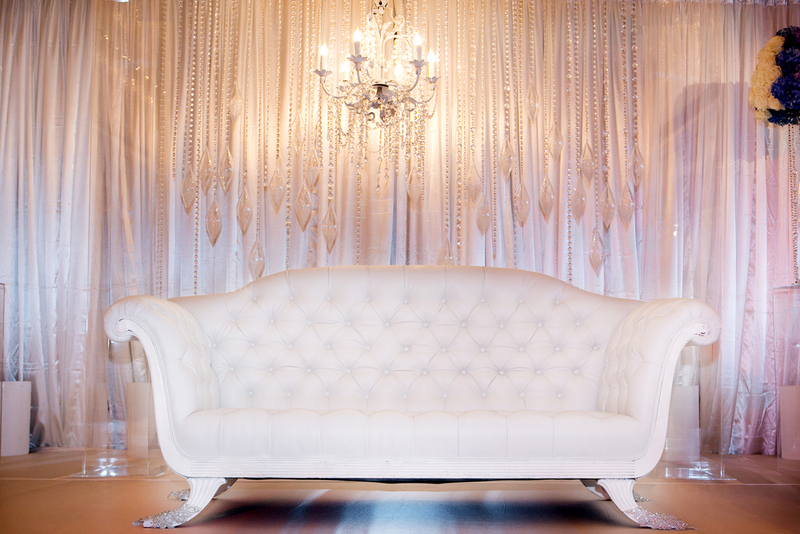 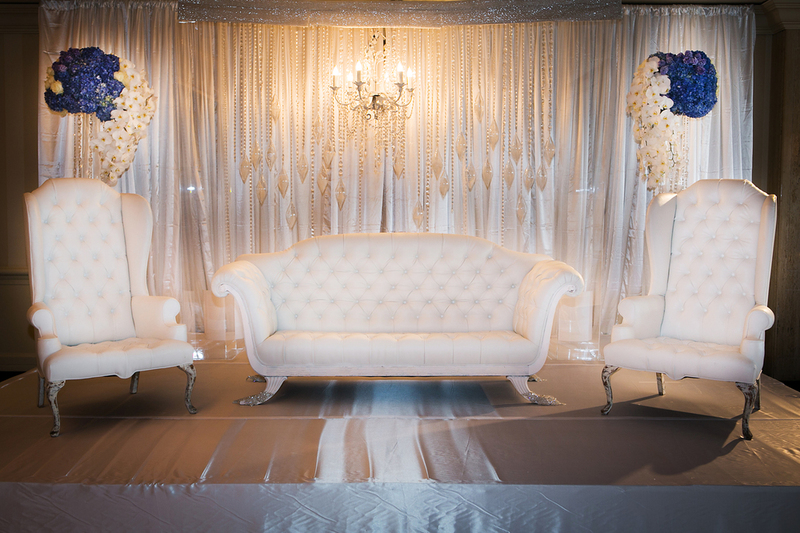 We used a white leather lounge embellished with crystals and a clear acrylic table for the sweet heart. 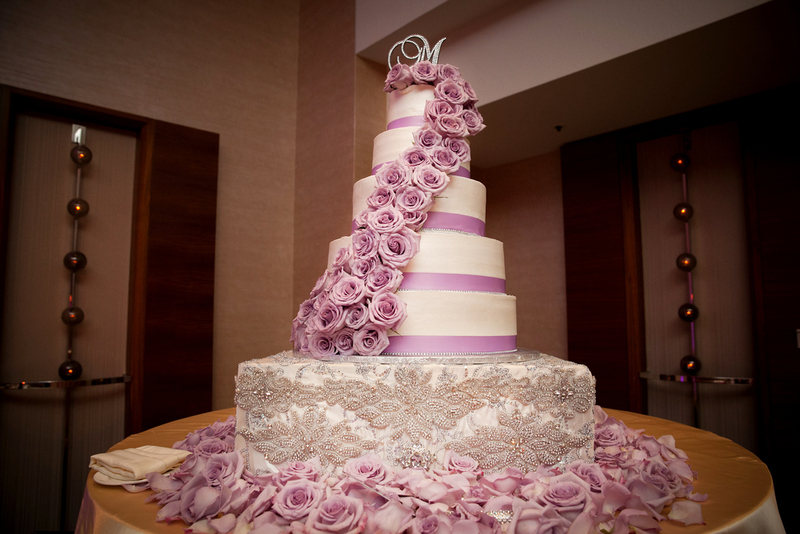 And to top it all off, a fabulous cake embellished with jewels.